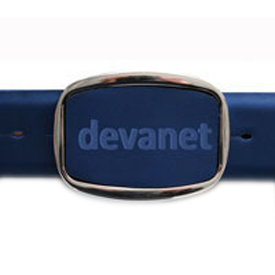 Devanét® leather buckles are available in several styles, shapes and sizes. 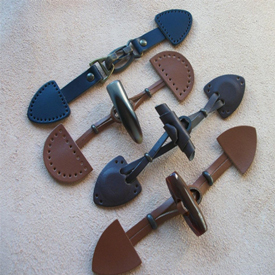 Each buckle is custom made to order with a minimum of 100 pieces. 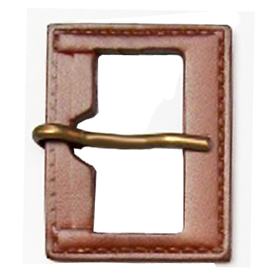 Special shapes and designs as well as buttons, coat ends and other leather covered accessories are possible. 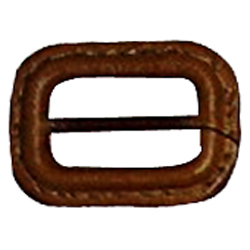 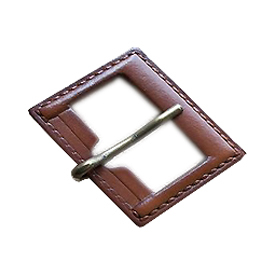 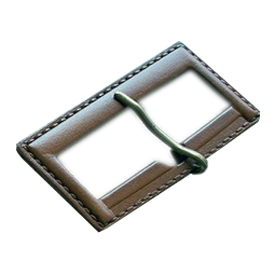 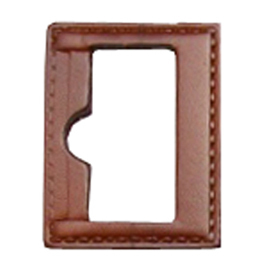 Leather covered buckles are equitably placed in specific market sectors from clothing, luggage, belts and accessories. 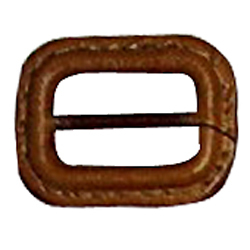 The advantage of stitched leather covered buckles is that the shape, type of leather, colour of leather and thickness can be produced to a given specification, the only limit being the ability to stitch around the shape, so it is important due consideration is given to this key aspect. 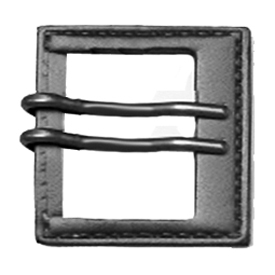 In addition the buckles in stitched leather are coated both sides of the buckle with no metal exposed except the prong (if used). 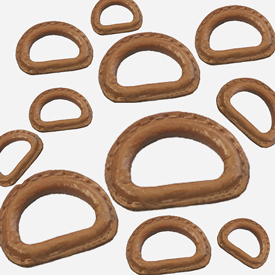 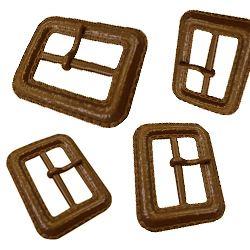 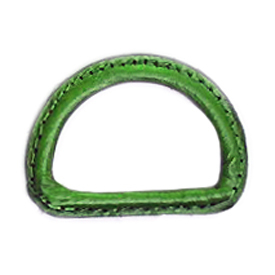 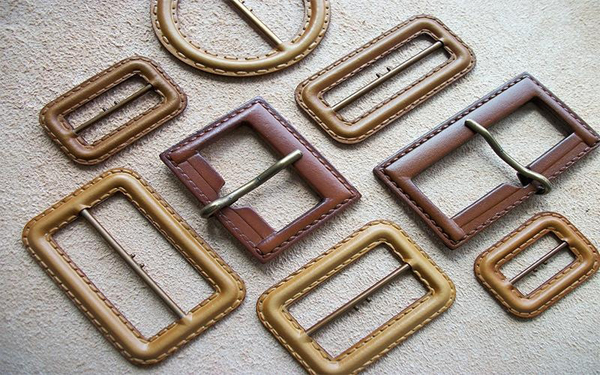 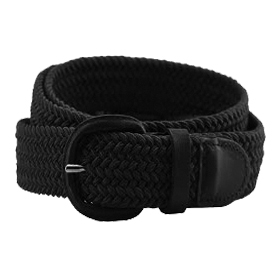 Stitched leather buckles are available from 20 mm to 100 mm in shapes designed to order. 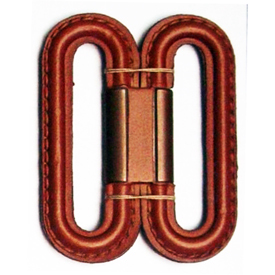 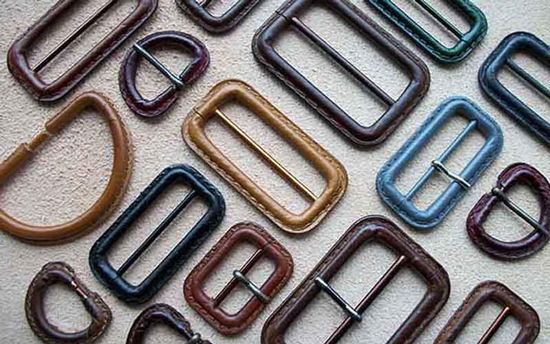 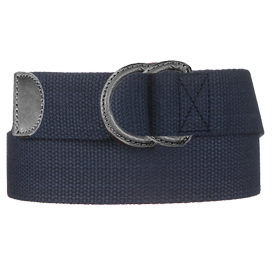 Leather covered buckles can be produced in Pantone matched colours to be matched with the style and application required of the main product, whether it is an article of clothing, gun case, leather bag, piece of furniture or belt. 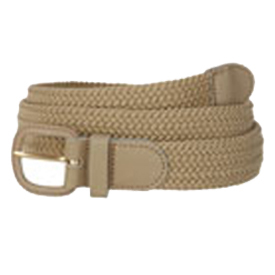 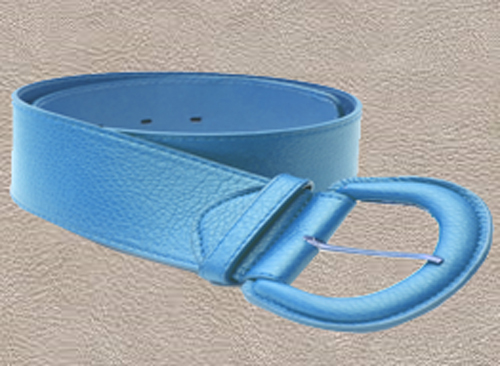 Leather belts with covered buckles can be applied to 4 varieties of buckles, prong, plate, centre bar and D ring. 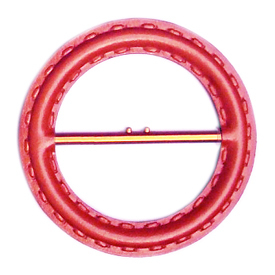 Special designs can be machined in solid brass and custom moulded and stitched to order from 35 mm with to 100 mm widths and in top quality leathers. 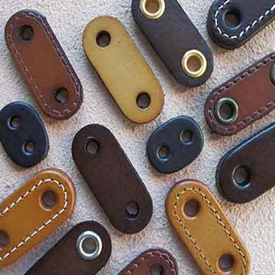 Buttons, buckles and other accessories can be produced and are custom made to order with a range of 24 colours. 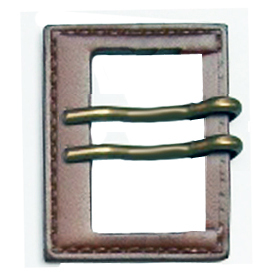 Special colours on application. 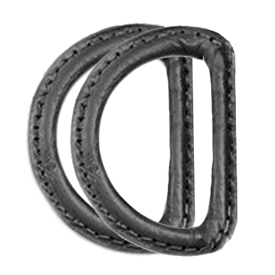 Branding and design enhancements, are possible with Devanét®'s ability to etch the leather prior to forming on the buckle, this can create different aesthetics to the appearance of the buckle and can even have a logo applied in some detail to the buckle in a strategic position. 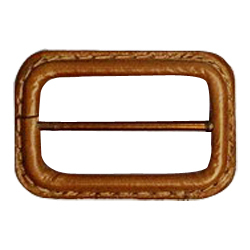 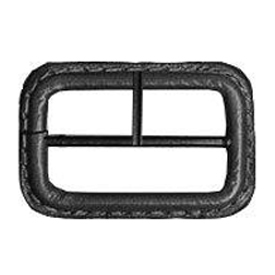 If you are looking for a leather covered buckle and would like our help in finding a positive solution, please contact our sales team for more information.